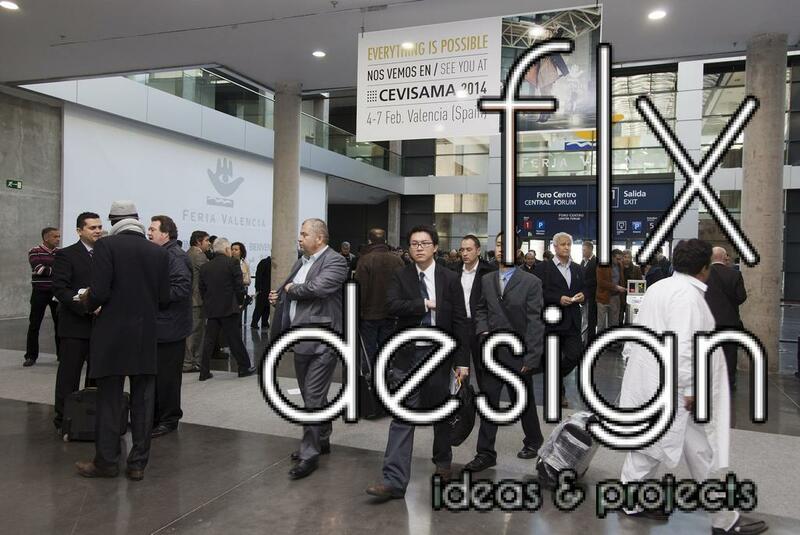 A few days after the close of Cevisama 2014 it´s already confirmed that the exhibition has been a resounding success, in part due to the fact that the organization decided to combine three trade shows in one: Habitat, Fimma-Maderalia together with Cevisama. Cevisama 2014 has registered an attendance significantly higher than expected (around 25% increase compared to last year´s edition): approximately 70,000 visitors (with 25,000 people coinciding at the same time at the Show). Something that seems to mean a turning point towards the ultimate recovery of the ceramic industry. Most visitors have come from Eastern Europe, Middle East and North Africa areas, but it´s also important to highlight the significant increase of visitors from countries such as Germany, France and the United States. The objective that the company had set for Cevisama 2014 was to consolidate its presence as a top supplier of ceramic design, however we must recognize that the success of numerous ceramic designs developed by Flexolaser Design and presented by various ceramics producers at the Show –reputed and prestigious ceramic brands such as Porcelanosa, Venís, Pamesa Cerámica, Baldocer, Grespania, Aparici, Cifre, Azulev, Máxima Cerámica or Ape– has also completely exceeded our most optimistic expectations. Something that certainly reinforces our commitment to the latest technology and the most innovative design. We take this opportunity to recall that during the first week of March it will take place at our facilities in Spain the III Inkjet Design Expo, where our national and international clients will discover our exclusive new inkjet collections.